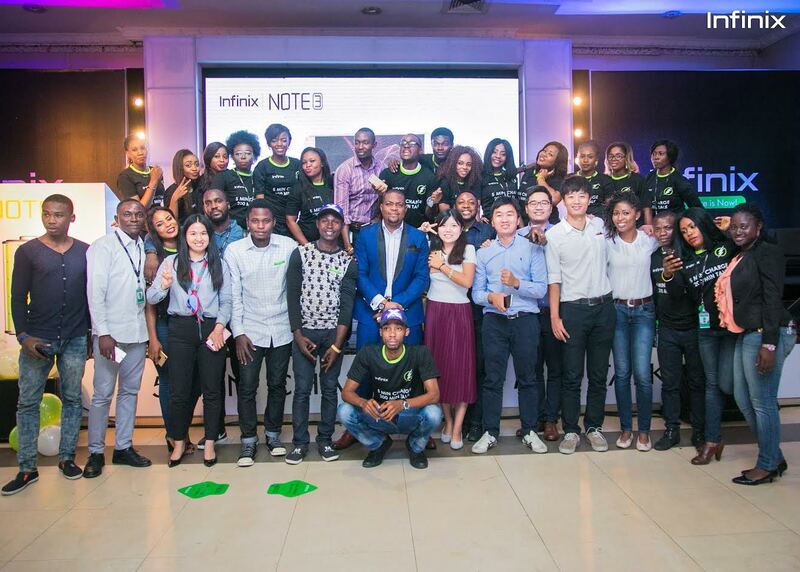 Infinix Mobility is Africa’s leading mid-ranged smartphone brand with the most innovative product portfolio in 2016. 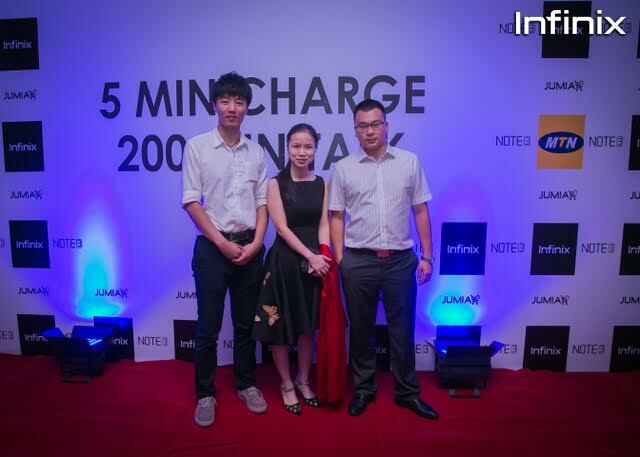 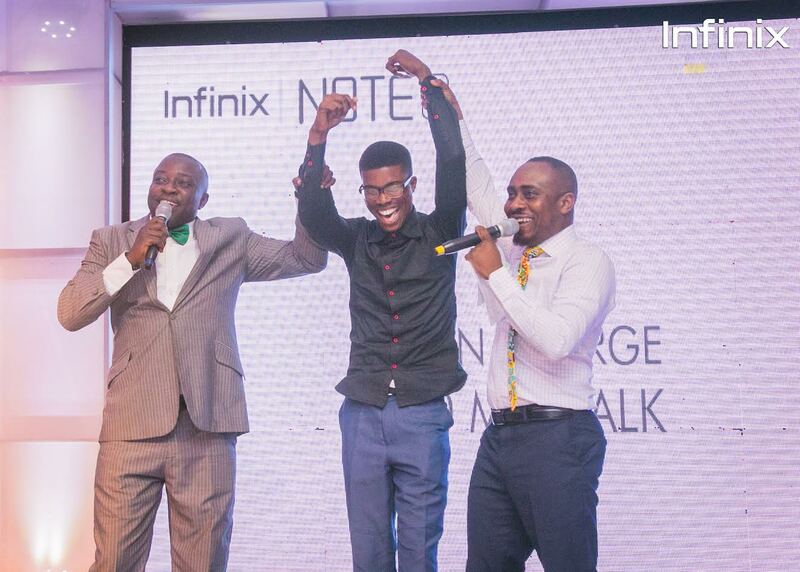 The brand unveiled its latest smartphone ‘Infinix NOTE 3’ as the first ever smartphone with the remarkable 5 minutes charge function for users with Jumia and MTN. 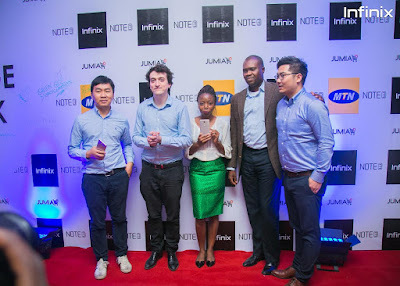 They ushered in the new smartphone InfinixNOTE 3’ with a launch event themed #JIMbigthing in partnership with Jumia& MTN at Civic Centre, Victoria Island, Lagos. The smartphone comes with more remarkable features, which will delight all mobile phone lovers in Nigeria. 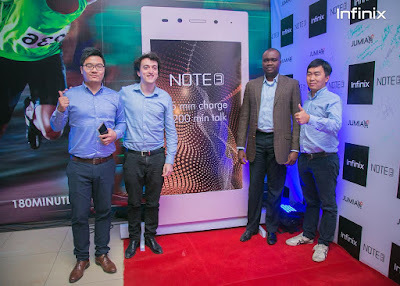 Apart from the highlighted 5 Minutes charge for 200 minutes talk time, it also comes with 6inch HD screen, XOS, 4500mAh battery, Finger print recognition, 13MP back camera, 5MP front camera, water-cooling technology to prevent battery overheating. The Fast charge feature is specially tailored to suit the unique needs of the African market, where customers need fully charged phones at all times to connect with family and friends! The NOTE 3 is available on Jumia and customers can enjoy MTN’s 100% data bonus offer with 7GB data bundle for N2,000 or 3GB bundle for N1,000. See pictures from the launch event at Civic center with Owen Gee as the compere and appearance from MTN ambassador Praiz.